Can a Parent Move a Child Out of State With Joint Custody? Unmarried or divorced co-parents have to continually make decisions regarding the welfare of their children, and while joint decision-making between the parents is always the best option, exes (whether originally married or otherwise) often disagree. One common issue that arises: How should co-parents deal with the potential for relocation, such as if one spouse finds employment in a new place? A New Jersey appellate court recently dealt with the issue of one spouse making the decision unilaterally to move his children to a new state or out-of-state without the consent of the children’s mother in a joint custody case. Continue reading for the details about this case, and contact a seasoned New Jersey child custody lawyer with any questions regarding the case or a planned or existing custody arrangement. The case, entitled Dever v. Howell, concerned an unmarried couple with children. The parties were never married. They had two children together and agreed to joint physical custody of the children. They shared parenting time for first eighteen months, and eventually the father became the parent of primary residence. At some point, the father became interested in moving to Florida, and in 2015 the parties entered into a limited consent order with the family court allowing him to take the kids to Florida; the order did not mention South Carolina. In late 2015, the mother filed a motion with the court requesting overnight parenting time; argument on the motion was continued until April 2016. Several days before the argument on the motion was to happen, the father told the mother that he was taking the children to South Carolina the next day, and offered her 10 minutes to say goodbye the next morning. The mother strongly objected to the move. The father took the children anyway, without obtaining a court order. Soon thereafter, the trial court granted a motion temporarily allowing the children to stay in South Carolina while the proceedings continued, without ruling that the father had the right to move in the first place. After several months with limited communication between the parents, the mother filed a motion with the court to force the father to return the children to New Jersey and for sole custody. The trial court ruled, and the appellate court agreed, that the father must return the children to New Jersey until he obtains a court order permitting the relocation of the children. Under N.J.S.A. 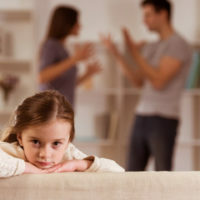 9:2-2, if a court has jurisdiction over the custody of children (such as pursuant to a custody arrangement or divorce order), a parent cannot relocate the children outside of that court’s jurisdiction without either the consent of both parents or a court order. A court would have to find good cause to allow the move over the objection of the co-parent to grant such an order. The court held that the 2015 order concerned a move to Florida, not South Carolina, and thus did not give the father permission to move to South Carolina. Nor did the court’s temporary order permitting them to stay in South Carolina help the father’s case, as the court did not at that time conduct a “for cause” analysis that would allow a parent to move states without the co-parent’s consent. The court, further, rejected the father’s argument that the mother should have to file a motion to have the children returned to New Jersey; the court did not want to encourage parents to first steal the children away to a new state and then put the burden on the parent left behind to win a motion to have the children returned. It is up to the moving parent to first obtain either consent or a court order to move states with children. If the father had acted appropriately and filed a motion to relocate the children, the court would have conducted a “best interests of the child” analysis to determine the best course of action. The analysis incorporates a handful of factors laid out by New Jersey statute as well as relevant information provided by the parents and other witnesses. If you are facing a custody battle or the possibility of divorce and need legal advice on your best options, contact the skilled and compassionate New Jersey family law attorney John B. D’Alessandro for a consultation on your case, in Union at 908-964-0102.